It feels like all we need to do just now is pick and eat! 1. 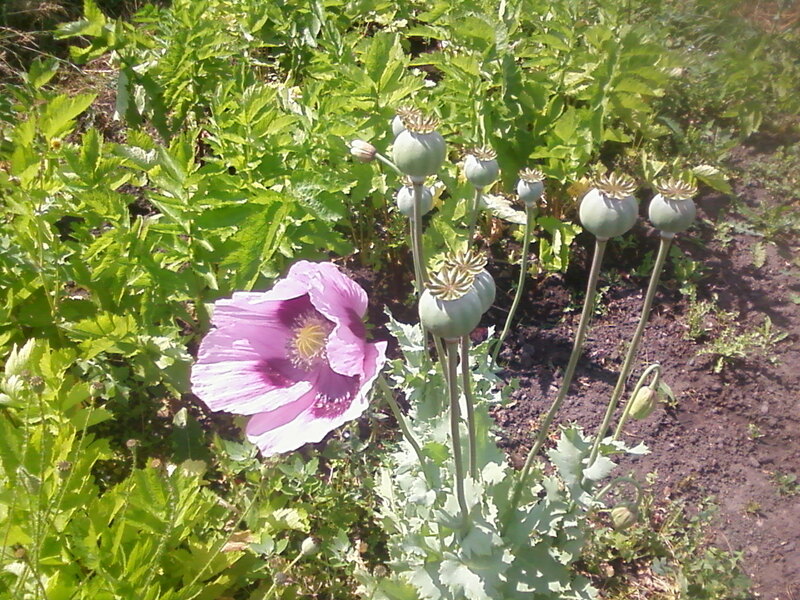 Weed - some weeds are vaguely useful, for instance we let the poppies grow on as plenty of insects and bees like them. Some are edible, I have tried Good King Henry but don't like it, however it may surprise you to know that I don't like a lot of salad plants either (others in the family do, as do the guinea pigs!). I have made dandelion root coffee, and coffee made from the seeds of goose grass, both dried and roasted, crushed and infused. Acorn coffee's good as well, but no oak trees in the allotment! 2. Bordeaux mixture and other sprays - I spray the potatoes with Bordeaux mixture roughly once a fortnight from the end of June, to protect against blight. I use an organic garlic spray on the peas to keep pea moths away and prevent maggots. I have had to use Diphane on the black spot fungus on a pear and an apple tree, even though it's not organic, but I understand it is the only thing that gets rid of it. 3. Water - depending on the weather of course, July was very dry and I think even though they got plenty of watering the potatoes have suffered, and the onions aren't as big or as prolific as last year. 4. Put straw under courgettes, pumpkins and squashes, to protect them from the ground and getting nibbled. 5. I will possibly be putting some late beetroot and carrots in, and it will, by the end of the month be time to think about putting over wintering onion sets and some more broad beans in, as well as garlic.